The Apple announced the news of iOS 9, the next version of the Operating System, on Monday (8). Among them, a power saving mode, which promises up to three drum overtime in the iPhone and the Siri updated, more like the Google Now. In addition, iOS receive new native apps and other updates. Users of the iPad Air 2 may also experience the first time, a real multitasking on the tablet. With the new features, the iOS 9 promises to further enhance the experience on the devices. The version for developers can now be downloaded. And in July, the company will release a beta testing. But when in Nov iOS will be available to all users? The Apple did not mention. Apple merely said that by the end of the year, it will be released officially. iPod Tuch 5th Generation . 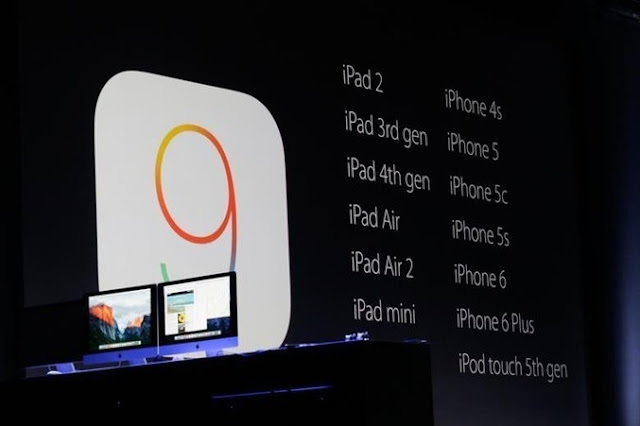 All devices that support iOS 8 will be updated to iOS 9 with new features. Apple also said it would develop the new system so that it is not heavy on older machines. Now, just 1.3 GB free on the device to migrate to iOS 9. In the previous iOS had to monstrous 4.6 GB.